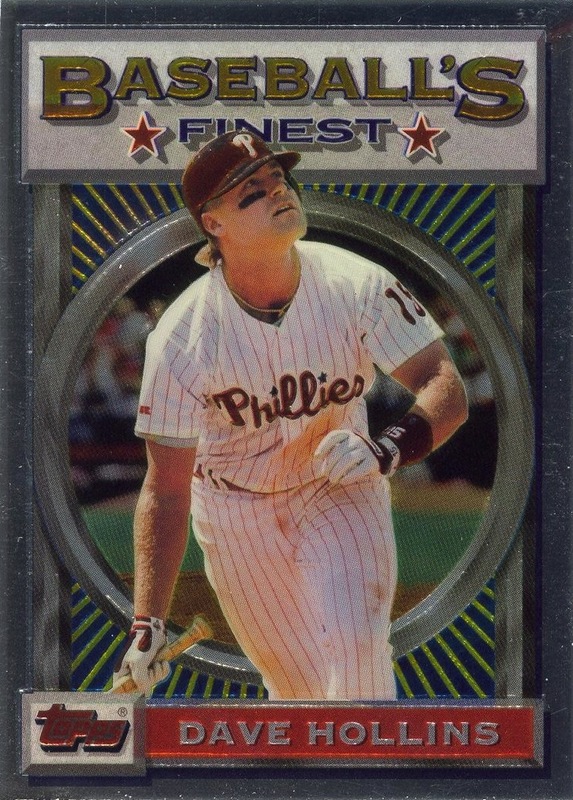 I reached a rather important landmark in the evolution of the Phillies Baseball Card Database, the newest version of which is now online: it finally contains all the cards and items in my collection. Every single card, coin, sticker, team-issued Phan Photo set — it’s all in there now. 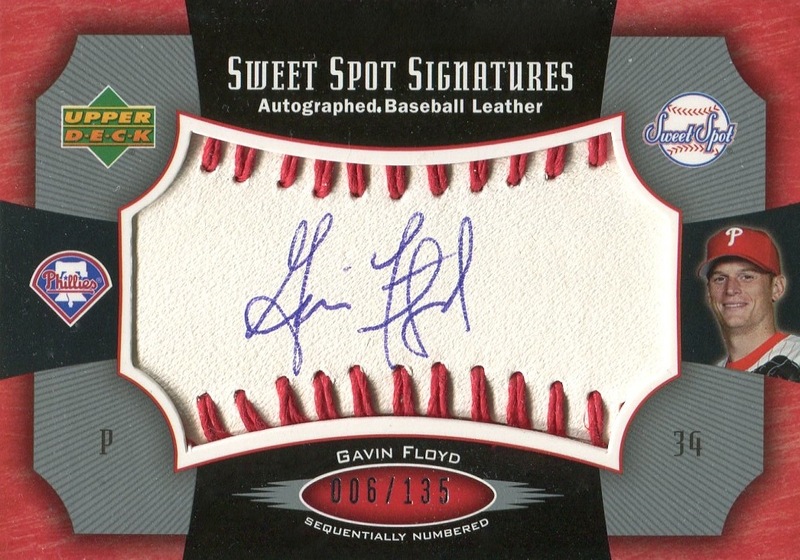 A 2005 Sweet Spot Signatures Gavin Floyd card was the last item in my collection to make it, and although there’s still a lot of work that needs to go into the database, one of the primary reasons for my embarking on this project is now completed. It feels good to have reach this point; really good. 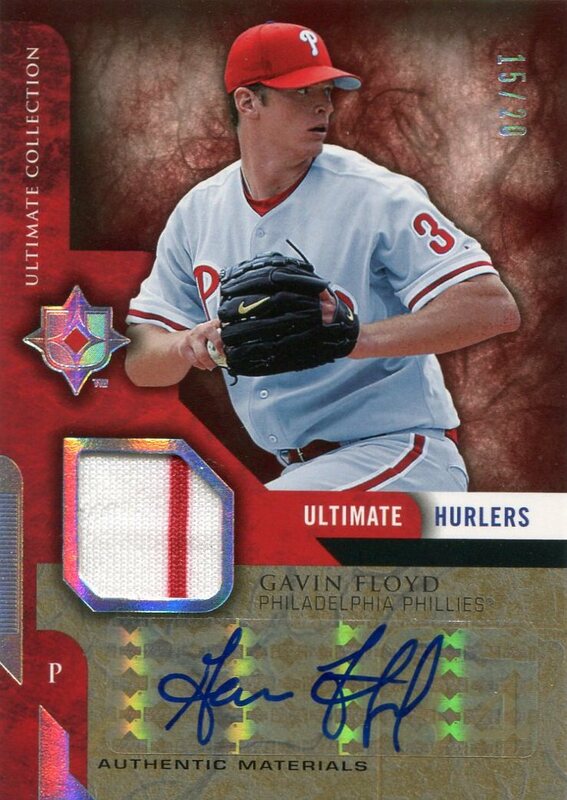 This Sweet Spot signature card of Gavin Floyd coincidentally allows me to write a little bit about one aspect of the database that I feel is unique to it: the naming convention. Anyone who has spent lots of time pouring over the Beckett and SCD annual baseball card catalogs know that the two of them occasionally differ in how they refer to various sets. In fact, I’ve referenced such differences in the past when I’ve posted checklists for various sets. Although both companies included statements regarding the identification of sets in their respective catalogs, I personally found these explanations somewhat vague and rather unhelpful in regards to modern issues, of all things. The reason for this is simple: frequently the way they name a set is inconsistent with the set name as shown on the card. 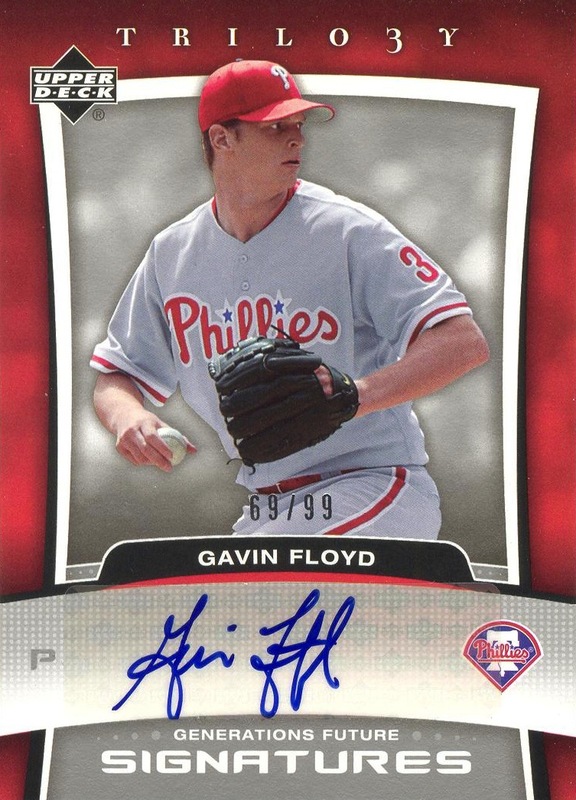 Take another look at the Gavin Floyd card above. According to Beckett, this is a 2005 Sweet Spot Signatures Red Stitch Blue Ink #GF. SCD, on the other hand, lists it as a 2005 Upper Deck Sweet Spot Signatures Red Stitch Blue Ink #GF. However, based on the information given on the card, and the way that the set was marketed by Upper Deck, I list the card in the database as 2005 Sweet Spot Sweet Spot Signatures Autographed Baseball Leather Red Stitch, Blue Ink #SS-GF. Here’s the rationale behind the name. 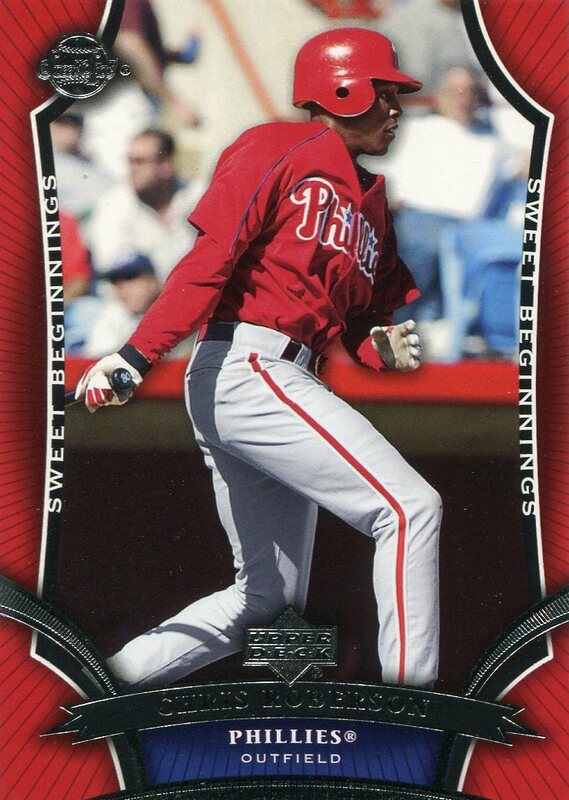 First, and most importantly, the primary set name, the set with which Upper Deck issued this card, should be “2005 Sweet Spot.” Although the Upper Deck logo appears on all their products, it’s not actually included in the name of all their products, and that’s an important distinction. 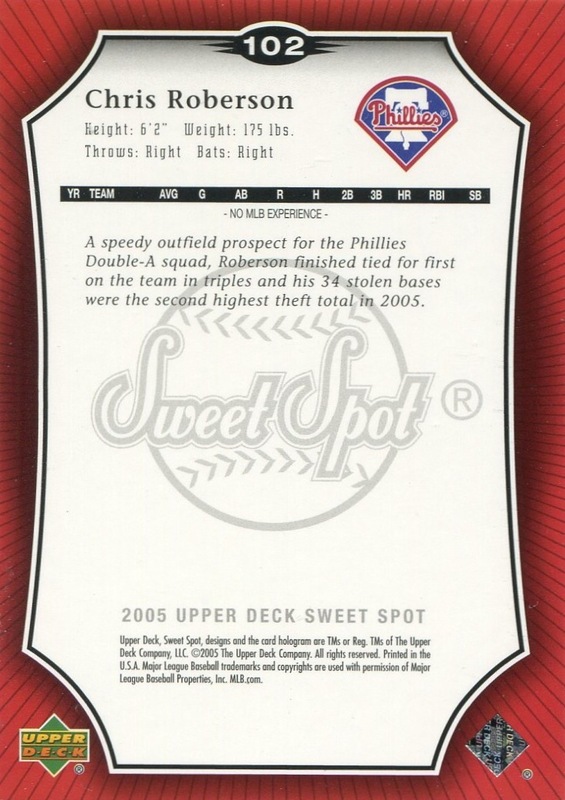 In the case of 2005 Sweet Spot, Upper Deck incorporated neither their logo nor name into the Sweet Spot logo or name. This is true on the front of the cards, the packs, and the boxes. Therefore, in my opinion, it shouldn’t be part of the name. However, the knowledgeable reader will note that the back of all the cards in the base set all say “2005 Upper Deck Sweet Spot Baseball” on the bottom. This actually highlights a small issue with my methodology — sometimes the card manufacturer is inconsistent with the name of their own product. When this occurs, I choose the name that most accurately reflects how the set was marketed. I’d like to believe that my decisions reflect some sort of consistency in situations such as this, but given that this database is over three years in the making (so far) it’s possible that I’ve inadvertently allowed a few inconsistencies. Therefore, I find SCD’s use of “Upper Deck” in the set name understandable, even though I didn’t use with it. The second part of my methodology regards the naming of insert sets. Basically, all inserts are named with the primary set name listed first. 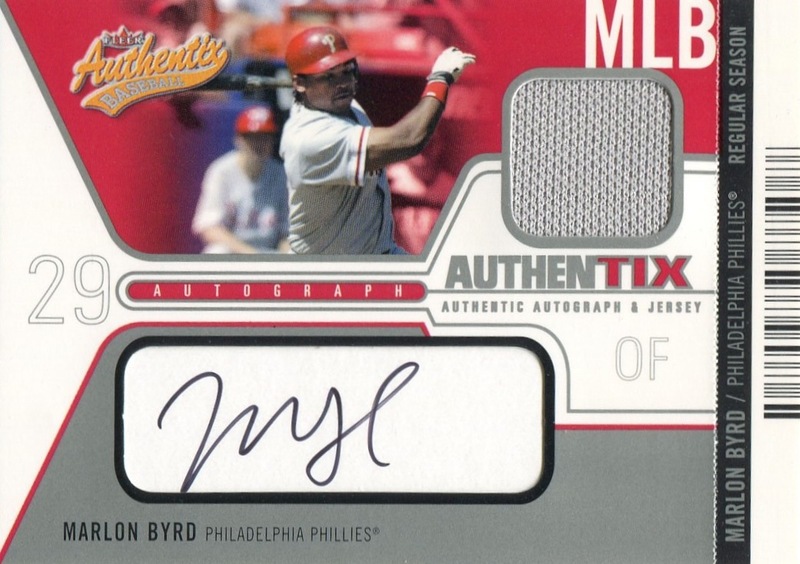 Therefore, given that “Sweet Spot Signatures” appears to be the name of this particular insert set (the set title on the card is not listed simply as “Signatures”), by my methodology the full name of this particular set is 2005 Sweet Spot Sweet Spot Signatures. However, I didn’t stop there because of additional language on the card. Upper Deck issued versions of this card that used manufactured bat barrels and glove leather, and, very importantly, Upper Deck altered the text on the front of each version of the card accordingly. Rather than resort to shorthand, as Beckett and SCD did, I included all the pertinent naming information. 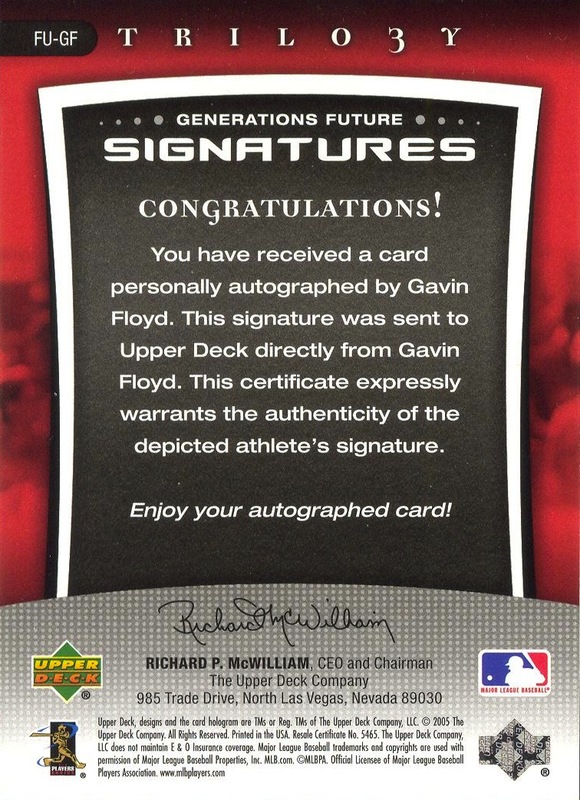 Thus, “Autographed Baseball Leather” is included in the set name for this particular Floyd card. Finally, even within the baseball leather version of the card, Upper Deck introduced parallels that differed in the stitching and type of ink used. Those descriptions make up the final portion of the set name; hence, “2005 Sweet Spot Sweet Spot Signatures Autographed Baseball Leather Red Stitch, Blue Ink.” My previous post on the matter of card numbering explains the final difference between Beckett’s, SCD’s, and my designations for this card. Unlike this particular example, most naming decisions are much easier to make — especially in regards to the primary sets. In the case of nearly every Fleer Ultra set, the Fleer name is incorporated in both the Ultra name and logo. Furthermore, until 1998, Fleer did it in a manner that did not reflect the way that they normally displayed the Fleer name and logo. Therefore, it should be part of the set name. In fact, there is only one Ultra set which did not incorprate the Fleer name or logo, and that was the 1998 set. 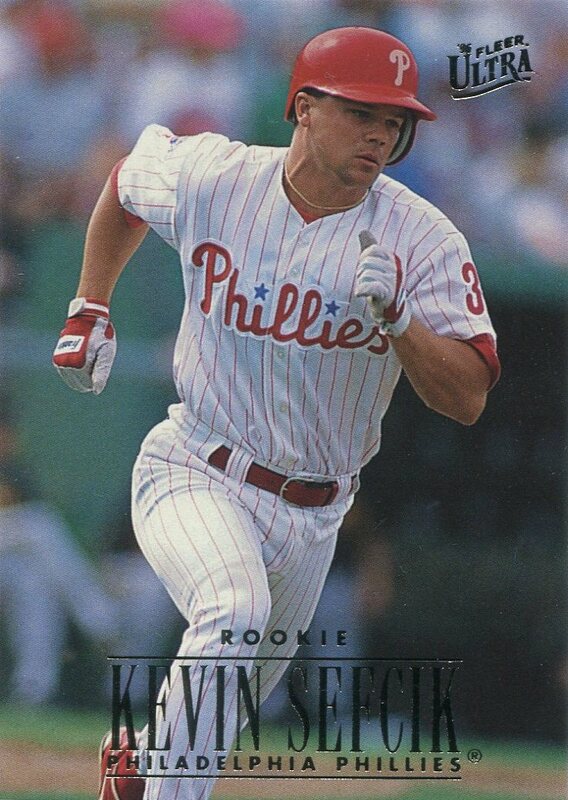 You’ll note that the ’98 set is the only one listed in the database simply as “Ultra.” Topps’s Stadium Club sets harbor a very similar issue. For the first half of the brand’s life, the Topps name was incorporated into the name of the set, and Topps frequently did so in a manner that was different from its typical use of the Topps name by itself — this was really notable in its 1995 and 1996 Topps Stadium Club sets. Topps didn’t market the set as simply “Stadium Club” until 1998. As I noted before, not all decisions were easy to make, and there are always exceptions to the rules. The 1993 Finest set is a perfect example. Taking a look a the boxes, packs, and even the cards themselves, the set should actually be listed as “Baseball’s Finest.” However, for a variety of reasons that I won’t actually get into at this time, I decided that the prudent decision for this particular set was to follow typical naming conventions within the hobby. Truthfully, I’m still not 100% certain I was right in doing so, and I reserve the right to change my mind at a future date, though it is highly unlikely I will actually do so. Even though it now contains my full collection, I will continue to expand upon the database and post periodic updates. Furthermore, I’ve incorporated a system that allows me, moving forward, to post both a complete updated file and a file containing just corrections and additions for those who are already using the file. You will note that the newest version includes a new tab in which I give credit to those who have provided corrections and additions — even though the database itself is still a work in progress, I welcome both of them. Parallels: Gold Limited, serial numbered to 150; Black, Cyan, Magenta & Yellow Printing Plates — each serial #ed “1/1”; Silver Limited, serial numbered to 250. The Printing Plate parallels do not bear memorabilia swatches. In addition, the Schmidt parallels were produced in smaller quantities than other cards in the set. Schmidt Gold Limited parallels are serial numbered to 30 and Schmidt Silver Limited parallels are serial numbered to 50. Additional Information: Seeded in packs of 2006 Upper Deck Artifacts. 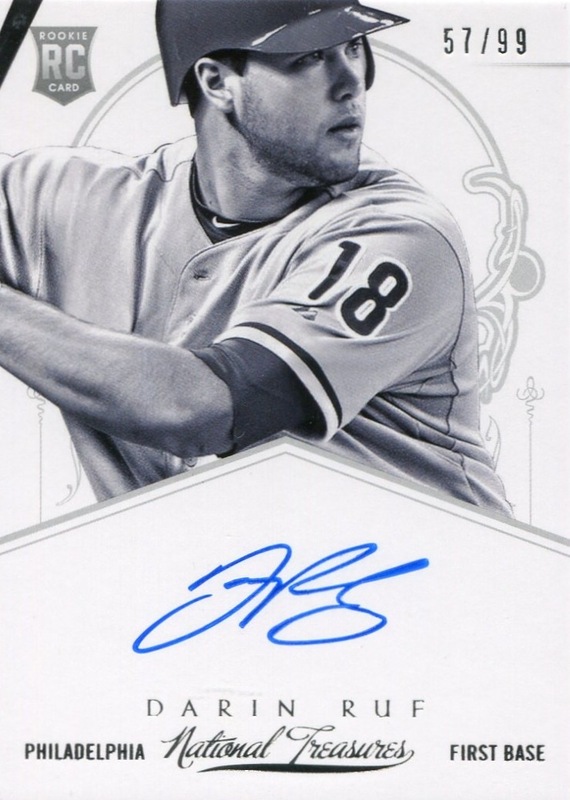 All the base cards are serial numbered to 325 — with the exception of Schmidt, whose card is serial numbered to 85 — and all base and parallel cards bear the serial number on the front of the card. 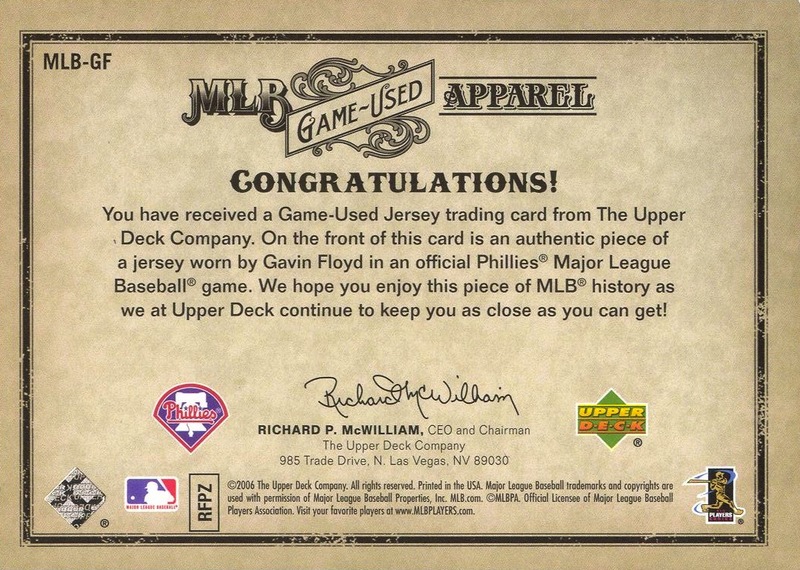 The set also serves as the basis for the 2006 Upper Deck Artifacts MLB Game-Used Apparel Autographs and 2006 Upper Deck Artifacts MLB Game-Used Patch Apparel Autograph insert sets. 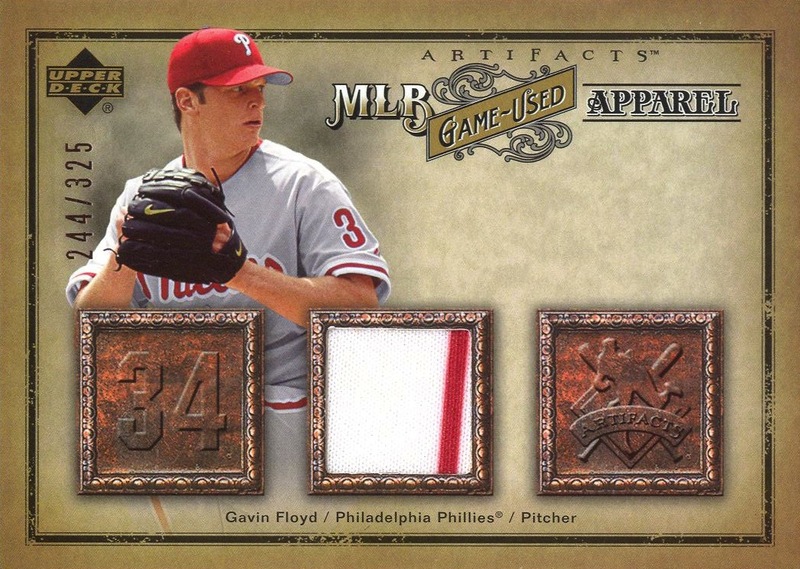 All the Phillies in the set bear jersey swatches on their cards. Parallels: Bronze, serial #ed to 35; Gold, serial #ed to 15. Additional Information: Seeded in packs of 2005 Upper Deck Trilo3y. For the base cards, Floyd and Howard are serial #ed to 99, while Utley is serial #ed to just 50. All base cards and parallels bear the serial number on the front of the card. Even though Upper Deck clearly replaces the “g” in Trilogy with a “3,” both Beckett and SCD spell the name all of Trilo3y sets with the “g” instead.